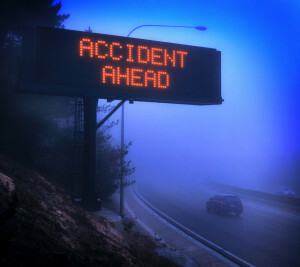 Every car accident that occurs and results in injuries can be as unique as the people involved. It is also important to note that car accidents that lead to personal injury suits can entail many different situations and scenarios, including many types of vehicles. A car accident leading to a personal injury case doesn’t just have to be one car versus another. Any vehicle using a public roadway can become embroiled in a personal injury situation. The most common types of accidents in New Hampshire that involve vehicles other than cars are motorcycle accidents and car accidents. A motorcycle versus car accident can be much more devastating compared to other accidents due to the nature of the motorcycle. Even with a helmet, a motorcyclist is exposed and vulnerable. Plus, on certain roadways and under certain weather conditions, motorcycles are difficult to see. Also, road issues like potholes and debris can lead to a motorcycle accident regardless of the actions of a car driver. Another common scenario involves car versus pedestrian accidents. In New Hampshire and elsewhere, pedestrians have the right away and also have plenty places to safely cross busy roads. But, many pedestrians are still hit by cars each year. Weather conditions, visibility, speed, and driver inattention can lead to scenarios where pedestrians are severely injured or worse. Regardless of the situation, when a pedestrian is hit by a moving car, the injuries can be severe and life-altering. Cars hitting bicyclists are another type of car accident that can easily lead to damage and injuries. There are bike lanes and very specific laws related to passing or sharing the road with bicyclists. Despite those laws, a car driver can still hit a bicyclist and cause extensive injuries and damage. With bikes costing hundreds and even thousands of dollars, the damage can be costly for avid bicyclists. Bus accidents can also lead to personal injury suits in New Hampshire. Bus accidents can lead to severe injuries because many city buses, school buses, and charter buses do not have seat belts or airbags, meaning passengers can be left open to more injuries if there is a rollover or collision. The height of a bus can make it susceptible to rollover more so than other vehicles, increasing the likelihood of injuries in general. Tractor trailers can pose hazards on the road and can easily be involved injury-causing accidents. Trucks are heavy and cumbersome on the road. When loaded with cargo, they can cause extensive damage to other vehicles and extreme injuries. When a truck is involved in an accident, it can be difficult to decide who to seek action against if a case is to be filed. The driver may be negligent on his or her own, or the truck company may be at fault if it was a mechanical issues. Injured Through The Negligence of Another? Regardless of the type of vehicle, if you have been injured in an accident on a New Hampshire roadway, you need to understand your rights and how the specifics of the accident can impact the case. Contacting a personal injury attorney who has experience with the type of accident you have been involved in is the first step to ensuring your rights are protected and you get the compensation you need and deserve. Our legal team is ranked among the best injury lawyers in NH. Let us help you recover just compensation.